The use of solar panels in Australia for homes has skyrocketed in the past 5 years. When Solar Charge pioneered and installed our first solar power system on a Melbourne suburban home way back in 1998 the most common type of solar panel (PV module) was crystalline silicon (X-Si). They come in two forms: Monocrystalline Si and Polycrystalline Si. Both have similar module performance due to the better coverage of area under the glass by poly Si. As the market developed Solar Charge has always stayed with only the best quality products, also known as Tier 1. 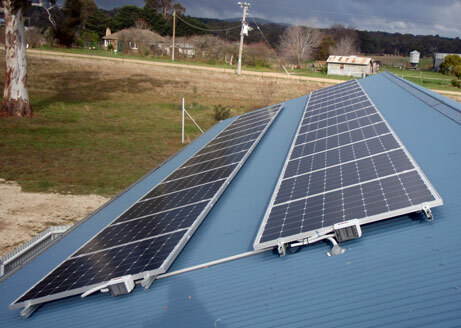 BP Solar used to dominate the Australian market through the 80s and 90s with modules manufactured in their Sydney factory. Solar Charge was a major supplier of BP Solar / Solarex solar panels since the 1970's for remote homes using battery storage, caravans, boats and navigational aids. BP Solar closed their Sydney factory in 2008 and later withdrew from the market due to price competition from cheap Chinese manufacturers and a corporate refocus on core business. There have been many brands introduced into Australia in the past six years with varying quality. These are called Tier 1, 2 or 3. Amongst the Tier 1 suppliers of solar panels are Bosch Solar (from Germany). For some years Bosch Solar produced PV modules in their Anstadt factory in Germany. Solar Charge installed many systems with these panels as the quality was in great demand. Regrettably Bosch ceased to manufacture PV panels in 2013 because of intense price competition. Independent testing in Sydney NSW has shown the Tier 1 products from LG Solar to be amongst the very best in the world. LG manufacture all their panels in Seoul Korea. Combined with the security of dealing with LG Electronics, a large well respected Australian company as the importer, this gives confidence that their world beating warranty will be handled in by the LG Sydney office, not back in some Chinese province. Raw semiconductor grade silicon is cast into wafer and then processed into *solar cells* by doping the top layer to form a P-N junction. This P-N junction creates current flow when light is shone on the silicon semiconductor wafer. This is called the photovoltaic or PV effect. Individual cells of Si can produce around 0.5 volts in sunshine. To utilise this power the cells are typically covered with gridlines and interconnected together in strings of cells in a solar module or panel. These in turn are wired in strings of panels on the roof in a typical household solar power system. The strings of cells are laid under a large sheet of tempered and toughened glass and encapsulated in EVA (ethyl vinyl acetate) and a plastic backsheet to protect the cells and interconnects from moisture. This encapsulated package then has an aluminium frame around it to provide structural stability and make them easier to handle and mount onto roofs. This package is very resistant to environmental damage. When properly manufactured, it can withstand decades of exposure to the elements including extremes of heat and cold, hailstones and wind buffeting. The manufacturing quality of *LG solar panels* (Tier 1) means they have a life expectancy of 30 to 40 years. Problems can occur in inferior products where poor interconnections are made between the cells and in the junction box. These poor wiring connections may work well for some period, but eventually heat from electrical resistance may cause the joint to fail. Similarly, imperfect wafer and cell production may result in local hot spots in the cells with a darkening of the module EVA and long term failure. Choosing a Tier 1 product such as LG Solar (download LG Quality Brochure) represent true value solar power and reduces the likelihood of these problems showing up 5 to 10 years down the track. The rapid uptake of solar power for Melbourne homes in the past few years has also seen the introduction of other types of solar modules. These include amorphous Si (A-Si) and copper indium gallium selenide (CIGS) based solar panels. These panels use less semiconductor material and are referred to as thin-film modules. They are supposedly cheaper to make but recent improvements in traditional mono-Si manufacturing have negated much of this advantage. Thin film panels are less efficient so use a larger area on the roof for a given output, but are less effected by heat. They are typically made with long strips of cells in the module which along with their weaker fill-factor, (shape of I-V curve) also makes them more tolerant of partial shading. The more common mono or poly crystalline panels utilise by-pass diode to reduce the effect of partial shade. The solar panels Australian market is currently experiencing an oversupply of solar modules as large Chinese manufacturers reduce their inventory as part of a scale down/ close out strategy. German solar panels made by Bosch which is our primary manufacturer. The highest quality and life expectancy of 30 to 40 years. We believ that for Australian conditions the best choice are German solar panels.